"Recently, I started feeling more and more stressed. My Master was becoming more intense, my projects here in Moscow were becoming more demanding, and while trying to keep a healthy social life and getting those valuable 8 hours of sleep every night; it turned out to be quite a task. I realized at some point that things were geting a bit too much and I knew that I needed to do something about the stress I was feeling. 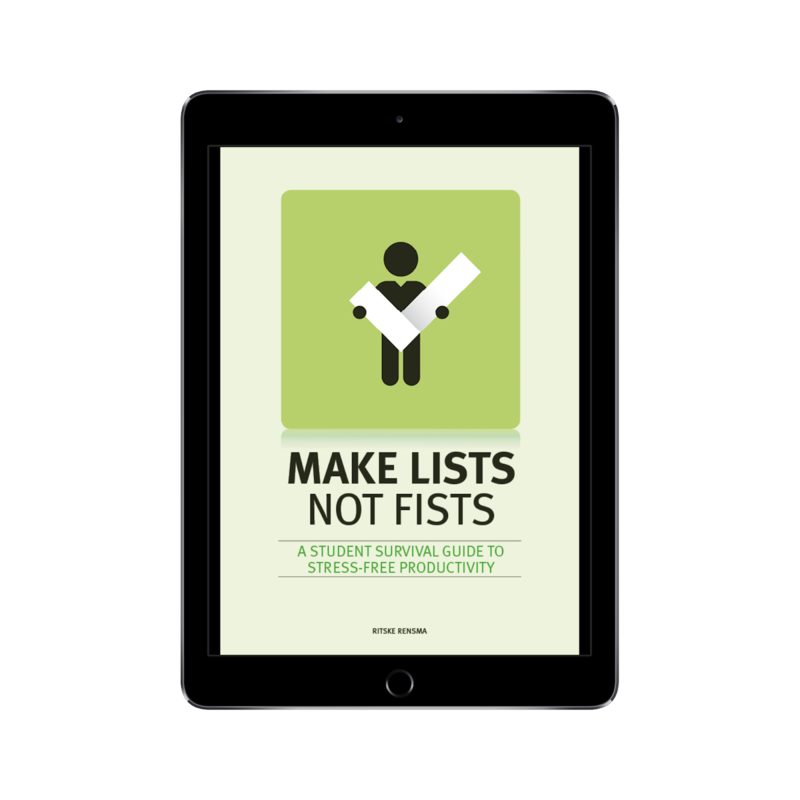 I remembered that my professor, Ritske Rensma, at University College Roosevelt in the Netherlands wrote a book about time management called 'Make Lists not Fists'. Even though I was part of a trial group that used the system described in the book, I managed to not read the book at all and I completely lost track of the idea he had put forward. I was too busy to be busy with it. Understanding the irony of the whole situation, I remembered the book and read it. The book describes an interesting system of time management using the app Wunderlist as its basis. The idea is that you put your tasks, ideas and other things you should not forget in the app, which is divided into several categories. It is a very practical guide of not forgetting tasks anymore, to not lose track of good ideas, deadlines, social appointments and so on. If used properly, it can take away a large amount of worries that can cloud your everyday thinking. I am currently using his system and it is working like a charm. Due to the system, I am managing the work which needs to be done for my Master, I am doing several projects on the side, I have a social life and I am sleeping enough. There are some points to be made that I am doing a bit too much, but that aside. Because I am experiencing the benefits of the system he came up with, I wanted to share this with you. Are you feeling overwhelmed due to your work, education? Are you forgetful and losing track of things? Are you having troubles sleeping due to stress? Do you feel as if there are not enough hours in the day? Then I would encourage you to try his system." The book is for sale in hardcopy on Amazon in most countries (for Europe, go with amazon.de or .co.uk). The ebook version is available on Amazon, Apple iBooks, and Kobo, amongst others. More info at listsnotfists.com.